Andrea, Jim, Caroline and Sharon Corr have been dubbed Ireland's favourite Celtic-pop-rock sibling quartet which leads one to wonder how much competition there can be in that specific category. These three sisters and their boet grabbed a lot of worldwide attention off their 1995 debut 'Forgiven, Not Forgotten' which tended more to their traditional roots and well-practised harmonies. 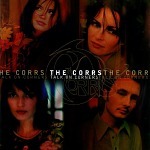 It created enough interest for them to link up, again, with Grammy-producer David Forster who helmed the production of 'Talk On Corners', their mature and melody-crammed second album. Andrea took more control on this album, writing or co-writing the bulk of these 13 tracks as well as hauling in a mix of big-name producers like Glen Ballard and Billy Steinberg (of Alanis and Madonna repute respectively). She co-wrote the sparkling opener 'Only When I Sleep' with Oliver Lieber, son of songwriting legend Jerry and then worked with Carole Bayer Sager on sweetly-aggro 'I Never Lived You Anyway' and 'Don't Say You Love Me'. They also teamed with the Chieftains for the album's closer, the soft and spiritual communal-Celtic version of Hendrix's 'Little Wing'. There are generous sprinklings of traditional Irish sounds and touches all over this album, including the instrumental tea-break of 'Paddy McCarthey'. Overall though, the Corrs have gone for a fuller and rockier atmosphere here. While that doesn't automatically find them sounding like Heart or The Carnberries, it does give this tune-full collection of songs the muscle, melody and hookiness to grab the hearts and ears of a whole generation of American kids who need Fleetwood Mac back and Wilson Phillips just won't do. There are few weak moments on 'Talk On Corners' but when they turn up, there is always a reliable Irish-y tin whistle, fiddle or bodhran solo to distract one's attention. One of the best female-vocal, folk-rocky albums by an Irish "sibling quartet" I've heard all week!